Many people have vivid recollections of lumpy school mash, but it doesn't have to be like that. True mashed potato should be smooth and creamy, made from butter and milk (or cream) for a truly smooth, luxurious taste. This comforting collection celebrates the versatility of mash, whether served as an accompaniment to a hearty winter dish like Andy Waters' vegetarian Wellington, or used in recipes such as Nathan Outlaw's smoked fish pie. 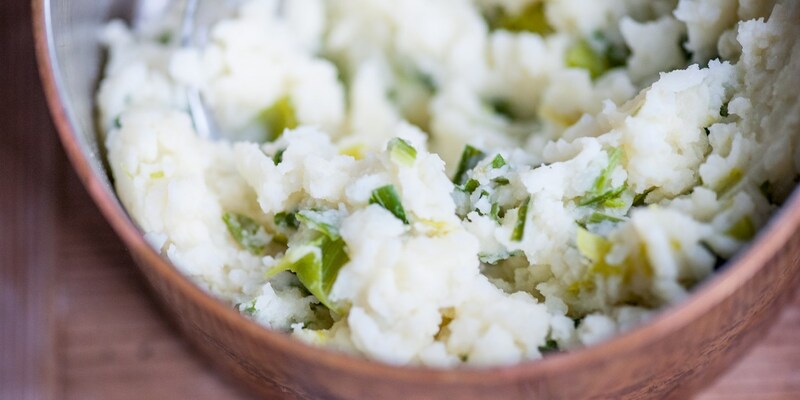 Be inspired to add a twist on the classic mashed potato - Galton Blackiston adds parsley to his recipe to create green mash, while Shaun Hill adds leeks to his recipe. For further inspiration, read our guide on how to cook mashed potato.